"Fun" - 12"x12"mixed media art for the silent auction fundraiser at the Downtown Artery 252 Linden St. in Fort Collins. "Fun" is covered with acrylic paint, textured art papers, fuzzy circles, a plastic 3d printed wing, a painted rubber band, ribbon, and more hidden goodies to engage you. 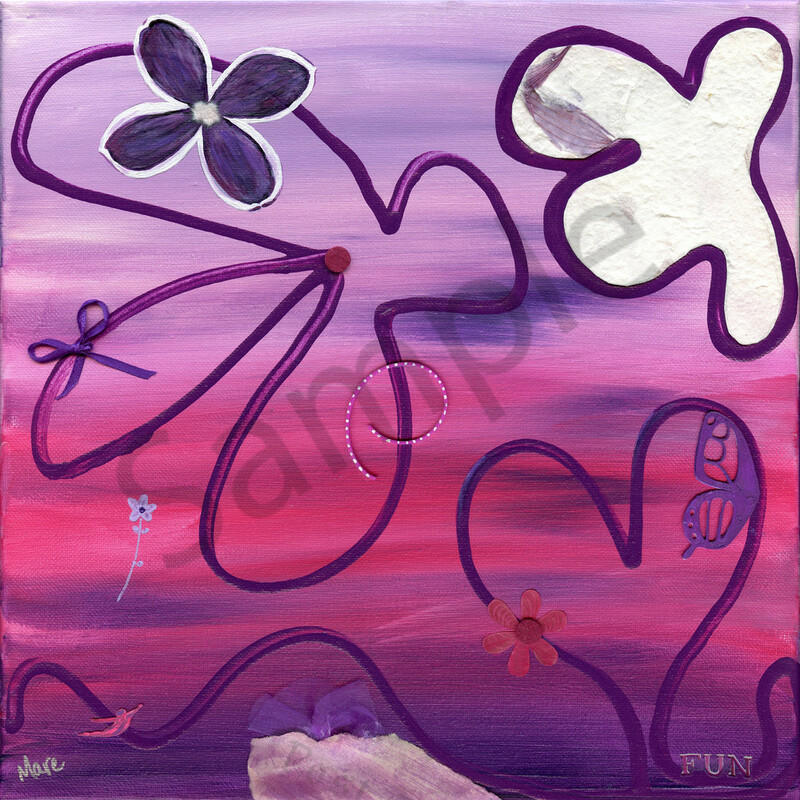 "Fun" - A unique mixed-media acrylic painting that keeps your eye circling the canvas. "Fun" is covered with acrylic paint, textured art papers, fuzzy circles, a plastic 3d printed wing, part of a rubber band, ribbon, and more hidden goodies to engage you. Fun is a 12"x12" acrylic mixed-media painted canvas full of unique 3d items!